High Park in the fall is a magical place to be. The abundance of trees turned yellow, red and green makes us giddy with excitement. Not only is autumn the most beautiful of seasons but it also accommodates fashion week. In this post we're wearing some of our current favourites. Kendra's deceivingly wide, light wash ripped jeans from Topshop and Dayles grey, long sleeve turtleneck. Side note: Maybe some of you have been wondering where we wondered off too. We know - our content has been slow lately! For that, we apologize. We have been spending a significant amount of time switching our platform and creating a new, more appealing blog for our readers! We are QUITE excited now that it has finally launched! For now I just want to say that London is magical and may be my favourite city ever. I think loved it even more this time than I did the first time around (6 years ago). I'm so infatuated by its juxtaposition of new and old and so drawn in by the history. And don't even get me started on how faultless it is as a fashion capital as well. Many more pictures to come! So we coordinated for once and decided we would get into our favourite plaid prints and welcome the fall! Tartan seems to be a trend for this season and we aren't protesting it. Most of the items we've seen in stores are adorable (not to mention totally wearable). Dayle's tartan print tights pair well with ANY chunky knit sweater, white or black. Kendra's plaid skirt with an exposed slip is perfected by dainty heels and inspired by Cher Horowitz herself. She would be so proud. Okay. So far, this has been our favourite Toronto location. 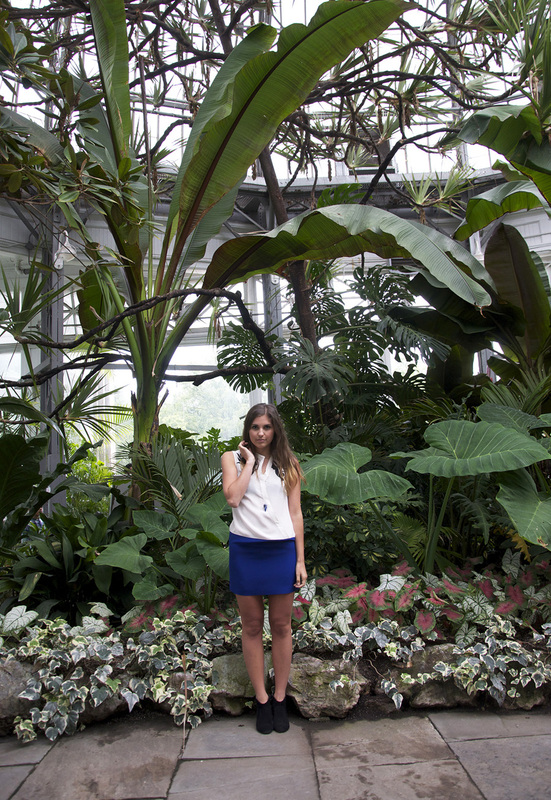 As much as we feel we this blog is centered around our fashion addiction, it is also partly about the city we live in. There are tiny, unfamiliar spots like this all over the city and we are tickled pink when we find them. This particular spot is well-known to those living in the area and their secret has been well-kept. It's easy to envision the sculpted lifeguards wearing 50's bathing suits running down this pier and diving into the lake. It has most definitely seen better days. However, its "forgotten" feeling is actually so peaceful to hang out around. This would be the perfect spot for an afternoon picnic, or if you are like us, an afternoon cider and/or bottle of wine! The Toronto Beaches are definitely nothing to brag about, but on a nice day in September when the entire area is completely desolate - it's a great hang out spot. We've been blessed with some good weather the past couple of weeks so we were squeezing out what is left of our summer wardrobes. We're pleased we finally made it out here too! This summer has been nonstop for the both of us so taking some time to relax by the waterfront this fall was much needed. We could do without the crowdedness. Dayle wore a floral overall dress with cross-back detail (for the last time this year, sad face). Threw on some comfortable suede boots and called it a day. Kendra is wearing a cropped tee reppin NYC with a bomber jacket and beanie thrown on to combat that chilly, early fall breeze. Maybe next summer we'll rep a slightly more attractive beachfront (we can only hope). GIVEAWAY TIME! WE'RE JUST GIVING STUFF AWAY! But to be serious for a moment, we couldn't imagine a more perfect item to be up for grabs in our first-ever giveaway than Laurie Fleming Jewellery's Pendulum necklace. 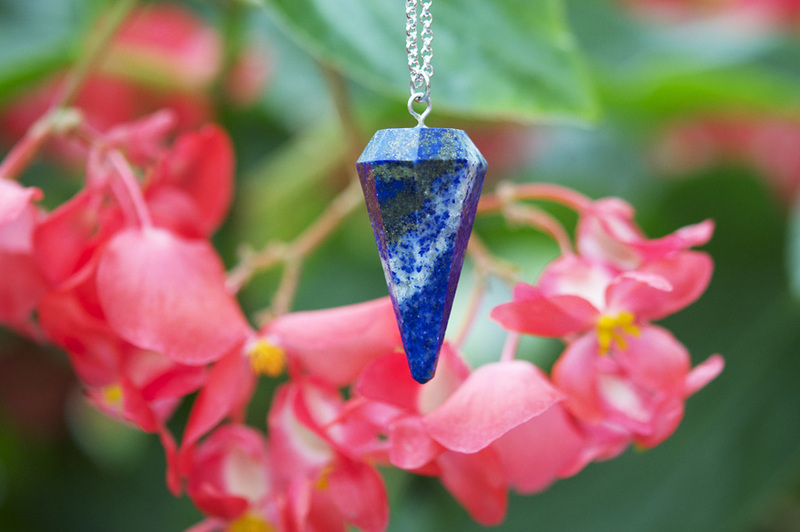 The Pendulum available to be won is the striking lapis lazuli gemstone (large) which hangs on a long sterling silver chain. This necklace can be worn on it's own as a standout piece, or layered with other necklaces to create a unique look. It can also be dressed up or down, and would look equally fantastic with a silk blouse as it would with a plain white tee! This giveaway is held in collaboration with Laurie Fleming Jewellery to celebrate the launch of her online store www.laurieflemingjewellery.com. If you want to enter, it's super simple! DAT'S IT! Good luck to all our lovely readers who enter :). Winner will be chosen at random on October 5, 2013. Above photos shot in the Palm House at Allan Gardens Conservatory. Wearing a dress by 10 Crosby by Derek Lam and boots by Aldo. Kendra: I celebrated one of my best friend Allie's birthdays with her on Ward's Island on a recent weekend, and how sad it is to think all these summer activities will come to an end so soon with fall quickly approaching! Nevertheless, we ate a ton of fruit and drank sneaky wine and had a little birthday cake too, and it was the greatest afternoon. We also ended up wearing the same glittery jelly sandals, TOTALLY UNPLANNED! WE ARE NOT THAT ANNOYING (ok really we are but we actually did not plan this). We even got to take outfit pictures before our ferocious sunburns set in! What more could one ask for? Here's a collection of our Osheaga photos! We know it's late... but the whole experience was so unbelievable we can't help but share them. So it's been a cool week in Canada. Unfortunately, we're starting to loose our grasp on summer and it's slipping through our fingertips quicker than sand in a sieve. How sad! We took some pictures after a day at work and refused to accept the cold by baring our legs to 5 degree wind. Austin Terrace is a street near and dear to us, right around the corner from both of us in the Forest Hill neighbourhood. It's a quiet, quaint road with beautiful old homes and lots of lush tree branches reaching over the lane. There are only a couple of weeks of summer left and we have lots planned! However we are getting excited for the array of knits, denim, jackets, coats and beanies in our near future. Anytime now Autumn! Pedestrian Sundays. Who knew? Apparently not us but we'll blame that on living uptown and not often wandering downtown streets on weekends. We both love Kensington (what Torontonian doesn't), for it's unique charm, stylish but sometimes questionable characters, vintage stores, vendors, food and so much more. Every last Sunday of the month during summer is pedestrian day. No cars are allowed, the storefronts pour out onto the road, and people join together to enjoy everything the market has to offer. We took some pictures of things that caught our eye, hope you enjoy them! This Sunday Funday was one well spent.